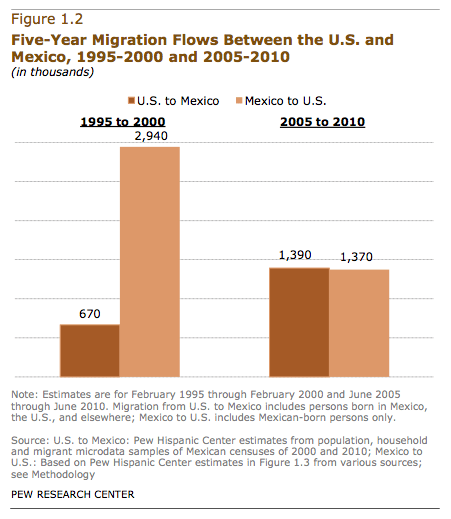 I’ve been following major demographic trends for a long time, and I don’t think there’s been any development as interesting in recent years as the sudden changes to immigration from Mexico. 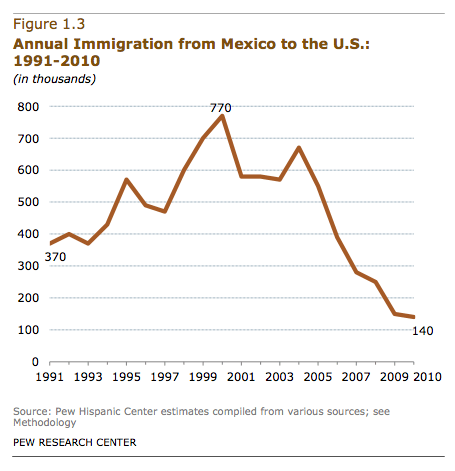 We’ve seen mounting statistical evidence (and plenty of anecdotal evidence too, FWIW) that immigration from Mexico generally and illegal immigration specifically have declined dramatically. 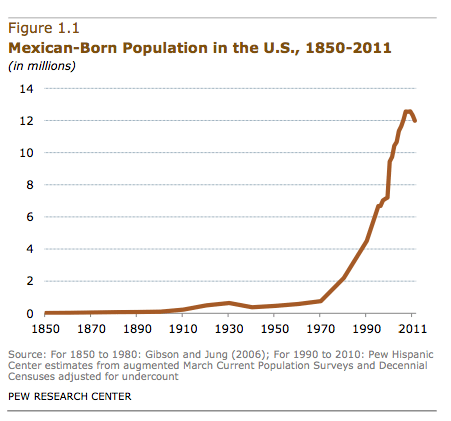 Major news organizations have pieces posted right now about the Pew Hispanic Center study, but I’m just going to post a few graphs and excerpts from the study itself. Now, the slight downtick in the following graph could in theory reverse itself, but I don’t think it will. With these changing realities, I sure hope we’ll see less heated political rhetoric and more pragmatic approaches to dealing with the large number of unauthorized immigrants (and their children) still living in the U.S.